We hope you love using QuestionDoctors (www.questiondoctors.com).This document contains important information that you need to consider before using this site and making any important decision. QuestionDoctors™ (www.questiondoctors.com) is an online health platform that provides a variety of online and online-linked health products and services to the general public and patients for health related information and resources. QuestionDoctors certified doctors can comment on many of your medical issues, on-demand, via text based and phone or video (not applicable in all cases) consultations from wherever you happen to be. QuestionDoctors also offers a general forum for crowd-sourcing purposes where participation to questions and answers are opened to everyone. Questions may also be posted on social sharing sites. As such this site is not a replacement for professional medical opinion, examination, diagnosis or treatment. Always seek the advice of your medical doctor or other qualified health professional before starting any new treatment or making any changes to existing treatment. Do not delay seeking or disregard medical advice based on information written by any author on this site. No health questions and information on QuestionDoctors is regulated or evaluated by the Food and Drug Administration and therefore the information should not be used to diagnose, treat, cure or prevent any disease without the supervision of a medical doctor. Posts made to these forums express the views and opinions of the author, and not the administrators, moderators, or editorial staff and hence QuestionDoctors and its principals will accept no liabilities or responsibilities for the statements made. NO DOCTOR-PATIENT RELATIONSHIP. QuestionDoctors doesn’t replace your relationship with physician or health care provider. The information interpreted (not limited to content of the site and information derived from online consultations) Should Not be relied upon as a substitute for sound professional medical advice, evaluation or care from your physician or other qualified health care provider. This information should be put to be use only after consulting your physician or other health care provider. You acknowledge that although some of the content, text, data, graphics, images, information, suggestions, guidance, and other material (collectively, “Information”) that is provided to you on the Site (including Information provided in direct response to your questions or postings) may be provided by individuals in the medical profession, the provision of such Information does not create a doctor/medical professional-patient relationship, but is provided to inform you on various medical conditions, medical diagnosis and treatment and it does not constitute a direct medical diagnosis, treatment or prescription. Everything on QuestionDoctors should be used for information purposes only, QuestionDoctors DOES NOT PROVIDE MEDICAL DIAGNOSIS, TREATMENT, and OR PRESCRIPTION OF ANY KIND. QuestionDoctors is designed to support the health decisions and choices that you make. These decisions and choices are yours, and we believe that you, in connection with the advice you receive from your doctor or other professional health care provider, are the best decision maker about your health. We cannot make decisions for you. What we can do is help you find good health information and connect with doctors for in-person information. On QuestionDoctors you can ask and find informational questions and related educational answers by Medical Experts. The site is not a place for the practice of medicine, but Medical Experts on site can be a resource for reliable, relevant general health information. We hope these services will be of value to you. Please use them responsibly. Even if your real life doctor is on QuestionDoctors , personal medical advice, treatment or diagnosis are not permitted through QuestionDoctors , and by using QuestionDoctors you agree not to solicit these or use any information as if it were personal advice, treatment, or diagnosis. This applies both to public interactions on QuestionDoctors as well as free and Paid consultations. Whenever you want personal medical advice, treatment, or diagnosis, you should contact your physician or professional healthcare provider and see them in person. We do allow you to connect privately with physicians for consultations and second opinions – but consultations are not for physical examination, diagnosis, prescription or treatment. All users must be eighteen years or older. In the case of minor Consumers (under eighteen (18) years), a parent or guardian must accept this Agreement and guide all consultations under the services offered. Your right to use the Services is not transferable. THE SERVICES ARE NOT FOR USE IN MEDICAL EMERGENCIES OR FOR CRITICAL HEALTH SITUATIONS REQUIRING PROMPT MEDICAL ATTENTION. The service is not intended to be real-time and may not be the best solution when a face-to-face consult is a must. The User takes full responsibility for ensuring that the information submitted is accurate. QuestionDoctors shall make no effort to validate any information provided by the Consumer for use in Services with respect to content, correctness or usability. We with an intention to provide the best service possible could ask you to share more information as and when needed. Use of QuestionDoctors Services requires basic familiarity with the Internet, related payment services and general security practices. The Consumer is expected to possess the necessary internet-usage skills and knowledge to avail QuestionDoctors Services. The opinions, statements, answers (collectively “consultation”) provided by the Medical Experts via QuestionDoctors are solely the individual and independent opinions and statements of such individuals and do not reflect the opinions of QuestionDoctors, its affiliates or any other organizations or institutions to which such Medical Expert or such specialist or professional is affiliated or provides services. QuestionDoctors does not recommend or endorse any specific tests, physicians, products, procedures, opinions, or other information that may be mentioned on QuestionDoctors or by a licensee of QuestionDoctors. The inclusion of professionals and specialists on QuestionDoctors or in any professional directory on QuestionDoctors does not imply recommendation or endorsement of such professional nor is such information intended as a tool for verifying the credentials, qualifications, or abilities of any professional contained therein. Such information is provided on an “as-is” basis and QuestionDoctors disclaims all warranties, either express or implied, including but not limited to the implied warranties of merchantability and fitness for particular purpose. You are solely responsible for maintaining the confidentiality of your password and for all activities carried out under your QuestionDoctors account. You agree to prohibit anyone else from using your password and immediately notify QuestionDoctors of any unauthorized use of your password or other security concerns. No party has the power or authority as agent, employee or in any other capacity to represent, act for, bind or otherwise create or assume any obligation on behalf of the other party for any purpose whatsoever. QuestionDoctors (the owners and the employee staff of the Site) and third-party professionals who offer services through the Site accept no responsibility for any medical, legal or financial events or outcomes related to services achieved through the use of the Site. QuestionDoctors does not guarantee that a web-based consultation, over-phone consultation or video consultation is the appropriate course of treatment for your particular health problem. You agree to contact your primary care physician immediately should your condition change or your symptoms worsen. If you require urgent care, you agree to contact your local emergency services immediately. The Services are offered on an “as is” and “as available” basis and used by the Consumer solely at his or her own risk. QuestionDoctors makes no warranty that the Services will meet your requirements, or that the Service(s) will be uninterrupted, timely, secure, or error free. This includes loss of data or any service interruption caused by QuestionDoctors employees. QuestionDoctors is not responsible for transmission errors, corruption of data. QuestionDoctors is for personal use. QuestionDoctors is a service for individuals to use to support their personal health decisions. You may use QuestionDoctors for personal, but not for commercial, purposes. Organizations, companies, and businesses may not become registered members on the site or use the site through individual members. As per the features of paid consultation, one will be provided with not more than 3 free follow-up questions per consultations. The free follow-up would be made available for a period not exceeding five days from the time of first response by Doctor. The user is also provided with an option of 5 attachments each per question, unless allowed in exception case by the Doctor. Your QuestionDoctors Patient Profile is created to store record of your consultations and your personal health information online, including history, health conditions, allergies and medications. • Any information provided as part of a web, over-phone or a video consultation becomes part of your QuestionDoctors Record. You agree to provide accurate information to help us serve you best to our knowledge, to periodically review such information and to update such information as and when necessary. • QuestionDoctors reserves the right to maintain, delete or destroy all communications and materials posted or uploaded to the QuestionDoctors Service according to its internal record retention and/or destruction policies. • You might be contacted via email to review the information provided by you for QuestionDoctors Record or for Online Consultations. Please make sure you provide a valid email-id and you update it as and when needed. QuestionDoctors may send you newsletters and other information regarding common medical and health-related topics or preventive care messages containing specific medical and health related information, links to other related websites and specific questions related to your QuestionDoctors Record. Additionally, QuestionDoctors makes available self-care informational services that provide general, medical and health information. • These communications and resources are not comprehensive medical text and do not include complete potential information pertaining to the subject matter. These are solely meant for general, educational and informational purposes and should not be relied upon as a substitute for patient-specific medical diagnosis and treatment or construed, directly or indirectly as the practice of medicine or dispensing of medical services by QuestionDoctors. • The information contained in these communications and resources is compiled from a variety of sources and may or may not be authored by QuestionDoctors. QuestionDoctors makes no warranty with respect to the content of these materials or the information contained therein. We are not responsible for anything outside of QuestionDoctors. Now or in the future, the Content and Services may link you to other web sites or information, software, data, or other contents, on or off the Internet. These other sites or and contents are not QuestionDoctors, and the information there is outside of our control. We do not control, endorse, or review the content of these sites, and we are not responsible for such content. You agree that the Services, which include all software and information, both electronic and printed media, contain copyrighted material, trade secrets, patent related material and other proprietary intellectual property and are the proprietary property of QuestionDoctors. They are protected by copyright, trade secret, patent laws and other proprietary rights and laws, and they may only be used or accessed as specifically provided for, in this Agreement. You agree that you will not store, copy, modify, rent, lease, loan, sell, distribute, transfer, transmit, display, reverse-engineer, reverse-assemble, or otherwise attempt to discover any programming code or any source code used in or with the Services. You will not otherwise attempt to transfer any right in the Services (which includes its software, design and content), create derivative works based on it or in any manner commercially exploit the Services in whole or in part. You agree that violations by you, any other person or entity, of these copyrights, trade secrets, patents, other intellectual property protections or the terms of this Agreement will be lead to prosecution under the Belize Laws and Bylaws. The final choice of whether the Consumer is in violation of any of these policies is at the sole discretion of QuestionDoctors. Only for the duration of being logged into the Consumers’ valid QuestionDoctors account, the consumer is hereby granted a revocable, non-exclusive, non-transferable licence to use the services for personal, non-commercial purposes; subject to terms and qualifications of Agreements of QuestionDoctors. With the exception of your medical records, QuestionDoctors retains all rights, titles and interests pertaining to QuestionDoctors , the QuestionDoctors Services and any content, products, documentation, software or other materials on the QuestionDoctors web site along with any patent, copyright, trade secret, trademark, service mark or other intellectual property or proprietary right in any of the foregoing. QuestionDoctors welcomes comments, suggestions and submissions by its Consumers including but not limited to messages, notes, feedback, artwork, communications, computer code or creative materials provided to QuestionDoctors The act of commenting, suggesting or submitting shall act as a full assignment of all rights whatsoever (copyright, patent-ability, and intellectual property) to QuestionDoctors. QuestionDoctors shall have the right to use the same as its own for all legal purposes including but not limited to reproduction, disclosure, publishing, distribution and the like without any compensation to the Consumer. NOTE: This section shall not include any personal information submitted by the Consumer that would be included as part of the Health Information Portability and Accountability Act (HIPAA) of 1996, enacted by the U.S. Congress. Except as expressly provided herein, no other right or license with respect to any copyrights, patent rights, trademark rights or other proprietary rights are granted under this agreement. All rights not expressly granted here under by QuestionDoctors are expressly reserved to QuestionDoctors and its licensors and information and content providers. Contact us if you believe information on our website infringes your copyright. If you believe any materials accessible on or from QuestionDoctors infringe your copyright, you may request removal of those materials. The resources of QuestionDoctors should not be used to impersonate another person or misrepresent authorization to act on behalf of others or QuestionDoctors. All messages transmitted via QuestionDoctors should correctly identify the sender. The Consumer should never alter the attribution of origin in electronic mail messages or while posting any information. QuestionDoctors has zero-tolerance for unsolicited bulk email, unsolicited posting to newsgroups, marketing gimmicks/spam/scams in community resources, or other illegal activities. The Consumer shall not infringe upon the rights of others, spam, propagate computer worms or viruses, use a false identity, attempt to gain unauthorized entry to any site or network, infringe copyrights, trademarks, or other intellectual property rights. The Consumer further agrees to comply with Belize export laws concerning the transmission of technical data and other regulated materials via the World Wide Web. The Consumer agrees to indemnify and hold QuestionDoctors harmless for any and all acts found or suspected to be in violation hereof. The Consumer’s account will be terminated for any of the above infractions. The Consumer shall not attempt to undermine the security or integrity of computing systems or networks of QuestionDoctors, its partners, or those accessed through or with their product, and must not attempt to gain unauthorized access. You agree, understand and confirm that the credit card details provided by you for availing services of QuestionDoctors will be correct and accurate. You confirm that you shall not use credit cards that are not lawfully owned by you. Other than to carry out the payment transaction, your payment information will not be utilized and shared by www.QuestionDoctors.com with any of the third parties unless required by law, regulation or court order. The said information will not be kept longer than necessary for providing the services. QuestionDoctors cannot assist with a stop payment request for any payment scheduled using a Payment Account credit/debit card. In any such case, you must immediately and directly contact your credit/debit card company/bank. All fees have to be paid upfront before availing a particular service on the QuestionDoctors site. At this stage of operations once a request for service is submitted, No calls for refunds owing to cancellation of request will be considered. All paid consultations of QuestionDoctors come with a 100% Money back Guarantee. In the least likely case if you are not satisfied with your consultation with our registered Doctor; please email us your feedback and reason to claim the refund. Please don’t ask any follow-up questions to the Doctor if you are seeking refund. Our Customer Service will contact you within 1 business day and upon evaluation we will return your money within 30 business days. In the event your request for consultation or other service is accepted but post-payment due to unexpected and extenuating circumstances, your request is either rejected or not acted upon or delivered as per the pre-defined terms of the said service; You will be given an option of opting for another request for consultation OR will be offered a complete refund, if you so desire. The refund will be credited to your account within 30 working days. In case your credit card/debit card/payment account has been accidentally over-charged, please notify QuestionDoctors of the same at the earliest. QuestionDoctors will refund the outstanding amount to your Payment Account within 30 working days. In the reverse scenario, if the transaction amount during payment of the fee happens to be less than the actual fee amount, QuestionDoctors will debit the outstanding amount from your Payment Account and notify you of the same. It is mandatory for the patients to maintain unique Transaction ID numbers, which would be provided at the time of placing a request. This number would be required to address any problems, if any. In the majority of cases, there is NO other situation under which QuestionDoctors will provide a refund, except for the condition expressly mentioned above under Refund Policy. In exceptional circumstances, the QuestionDoctors team will work with you to reach a mutually acceptable solution. QuestionDoctors intends to be objective, fair and reasonable in resolving such situations in order to maintain a positive and harmonious relationship with consumers. The maximum refund amount is subject to the amount paid by the user for QuestionDoctors’s service in contention. • If you have not provided accurate patient details including contact information (patient’s email and/or phone number), username and Payment account information. • If the transaction for payment doesn’t go through with your bank due to (including but not limited) insufficient funds, fraudulent access, failure of processing the request by our Affiliate merchants or your bank. • If circumstances beyond the control of QuestionDoctors (such as, but not limited to, fire, flood, or interference from external forces) prevent proper execution of the transaction. • If you don’t respond to requests of more information (if needed) by the specialists or doctors to make a consultation. We would intimate you the needful via email and/or phone and/or as a message in your QuestionDoctors account. • If the user is in breach of any of the Terms and Conditions of this Agreement and/or the Terms and Conditions of the usage of QuestionDoctors. You acknowledge that your use of the QuestionDoctors Services is solely at your own risk, and that you assume full responsibility for all risks associated therewith. To the extent that any of the Content included on QuestionDoctors is provided by third party content providers or other users, we have no editorial control or responsibility of such content appearing on QuestionDoctors. All information, products or services contained on or provided through this website are provided “as is”, without any warranty of any kind, express or implied, to the fullest extent permissible under applicable law. QuestionDoctors and its Affiliates hereby disclaim all representations and warranties, express or implied, statutory or otherwise, including but not limited to warranties of merchantability, appropriateness, title, non-infringement and freedom from virus strains. Without limiting the foregoing, QuestionDoctors and its affiliates make no warranty as to the reliability, accuracy, timeliness, usefulness, adequacy, completeness or suitability of the QuestionDoctors products and services provided hereunder. QuestionDoctors makes no representations or warranties about the satisfaction of government regulations. QuestionDoctors will take all necessary precautions to protect itself against failure of our hardware and our software. The Consumer acknowledges and agrees that temporary interruptions in service may occur, and that QuestionDoctors shall have no liability for any claim, cost, charge, loss or expense arising from or relating to use of the Services. QuestionDoctors makes no warranty that the Services will meet your requirements, or that the Service(s) will be uninterrupted, timely, secure, or error free. The Consumer acknowledges and agrees that in the event of failure, restoration of service may take several days. The Consumer shall defend, indemnify, save and hold QuestionDoctors , its affiliates harmless from all demands, liabilities, claims and expenses, including attorney’s fees, fees of third parties relating to or arising under this Agreement, the Services provided here under or your use of the Services, including without limitation, infringement by you or someone else using the service with your computer, of any intellectual property or other proprietary right of any person or entity, or from the violation of any of our operating rules or policy relating to the Service(s) provided. When we are threatened with suit by a third party, we may seek written assurances from you concerning your promise to indemnify us; your failure to provide those assurances may be considered by us to be a breach of your agreement and may result in deactivation of your service(s) with immediate effect. 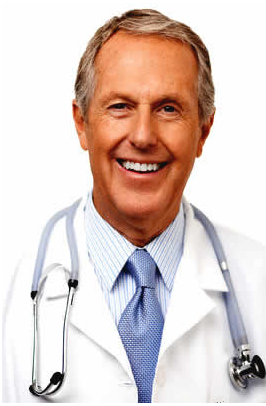 Under no circumstances, including negligence, shall QuestionDoctors including (it’s Affiliates) or anyone else involved in creating, producing or distributing QuestionDoctors Services be liable for any direct, indirect, incidental, special or consequential damages that result from the use of or inability to use QuestionDoctors Services, or that results from mistakes, omissions, interruptions, deletion of files, errors, defects, delays in operation, or transmission or any failure of performance, whether or not limited to acts of God, communication failure, theft, destruction or unauthorized access to QuestionDoctors records, programs or services. This paragraph shall apply to all content and functionality of QuestionDoctors Services. Notwithstanding the above, the Consumer’s exclusive remedies for all damages, losses and causes of actions whether in contract, including negligence or otherwise, shall not exceed the aggregate Dollar/INR amount which the Consumer paid directly to QuestionDoctors for the service in question. Such limitations shall apply to QuestionDoctors total liability, including without limitation any liability for damages caused or allegedly caused by any failure of performance, error, omission, interruption, deletion, defect, delay in operation of transmission, communications failure, theft of destruction of or unauthorized access to, alteration of, or use of records, whether for breach of contract, tortuous behaviour, negligence, or under any other cause of action. In no event shall QuestionDoctors nor any of its affiliates be liable for any direct damages in excess of the purchase price for the product. In addition, to the maximum extent permitted by law, in no event shall QuestionDoctors nor any of its affiliates be liable for any special, punitive, indirect, incidental or consequential damages, including but not limited to personal injury, wrongful death, loss of use, loss of profits, interruption of service or loss of data, whether in any action in warranty, contract, tort (including, but not limited to negligence or fundamental breach), or otherwise arising out of or in any way connected with the use of, or the inability to use, this website or any service offered through this website or any material or information contained in, accessed through, or products purchased on this website, even if an authorized representative of QuestionDoctors is advised of the likelihood or possibility of the same. To the extent certain jurisdictions restrict any of the above limitations of liability; such limitations shall not apply in such jurisdictions to the extent of such restrictions. The indemnification and disclaimers provisions set forth above are for the benefit of QuestionDoctors and its affiliates. Each of these individuals or entities shall have the right to assert and enforce those provisions directly against you, the Consumer on its own behalf. This Agreement constitutes the entire understanding of the parties, and is agreed to being entered into within the jurisdiction of Belize and shall be governed by and shall be construed in accordance with the laws of Belize, without giving effect to any choice of law rules or principles. Any dispute with QuestionDoctors shall exclusively be subject to the jurisdiction of the appropriate Courts situated at Belize. No party shall object to removal or prosecution of any litigation to a state court within Belize. Any cause of action or claim you may have with respect to QuestionDoctors must be commenced within one (1) year after it arises, except to the extent such litigation is not enforceable. QuestionDoctors reserves complete and sole discretion with respect to the operation of our Services. We may, among other things withdraw, suspend or discontinue any functionality or feature of our Services. You agree and confirm that the Terms of Service may be amended from time to time without notice and take responsibility to update yourself periodically with the latest version available on QuestionDoctors website. Any such revision or change will be binding and effective immediately on release of the revised Agreement or change to the Service(s) on our website. Unless we notify otherwise, these terms incorporate and supersede any other terms associated with the Services. QuestionDoctors has the right to discontinue service, or deny access to anyone who violates our policies or the terms and conditions stated herein, without prior notice or warning. medical emergency, call your doctor or the emergency services immediately. that any such third party content is true, accurate or complete. this page periodically to review the most current version of the Terms and Conditions. disrupt the proper operation of symptom checker. concerning brand infringement at this email address. symptom checker and are hereby incorporated into these Terms and Conditions by reference. (b) your violation of any law or the rights of a third party, and/or (c) your use of this symptom checker. other information transmitted in connection with use of symptom checker. THROUGH THE USE OF THE symptom checker OR ISABEL. exclusive and are limited to those expressly provided for in these Terms and Conditions. 2.
under these Terms and Conditions shall not exceed £100 or its current equivalent. your own risk and subject to the terms and conditions of use for such sites. you do so at your own risk and are responsible for compliance with the laws of your jurisdiction. We reserve the right to refuse any and all questions at our discretion. We reserve the right to refuse to answer any and all questions at our discretion. at our discretion. If modified or annulled, no compensation will be attributed to any participant. Points are for entertainment purposes only. It is agreed and understood that points have no value. • Acknowledge and agree to assume the risk of the above mentioned limitations pursuant to the use of QuestionDoctors. I further understand and agree that no warranty or guarantee has been made to me concerning any consultation on particular diagnosis, result, treatment or cure of my condition. • I understand that the consultation through QuestionDoctors may involve electronic communication of my personal medical information to other medical practitioners who may be located in other areas, including out of state. (2) terminate the consultation at any time.